The first things that you should pack into your carry-on bag are your passport, any travel documents you might need (check out the Official Canada ETA website) for more information on that, and any money or debit cards you will be taking on vacation with you. It is important that these are all packed into easily accessible hand luggage, as you will need to be able to access them quickly at various points in your trip. The climate in Canada is often thought of as being freezing cold and snowy all the time, but it is actually much more diverse than that (check out Your Canada Climate), which is why you would do well to check out the weather forecast before traveling. Although forecasts are not totally accurate, they should give you an idea that you can work with. Whether you are traveling in the summer, which runs from 21st June to 21st September in Canada, or you’re traveling in the Fall or Winter, you will still need to bring along plenty of warm clothes, long trousers and tops with sleeves, because even if it is warm during the day, it can get quite cold at night. If you’re going to Canada in the Winter, proper winter clothes, including a warm coat, scarf, gloves, and boots are essential, as is bringing along an umbrella or raincoat. Basically, you need to pack for all kinds of weather, without bringing along your entire wardrobe. Keep it to a few key pieces that can be worn in every circumstance and you should be fine. Because the weather in Canada can be very unpredictable, it pays to bring along a few extras such as a hair dryer, mini iron, and waterproof over-clothing accessories, so that you can sort out any weather-related fashion mishaps as and when they happen. Of course, if you’re happy to go with the flow, these may not be quite so essential. If you’re going to be doing lots of outdoor activities then you’ll also want to consider things like trekking poles and walking boots. Remember, before packing, to check out Catsa, where you can find up to date information on Canadian security requirements. 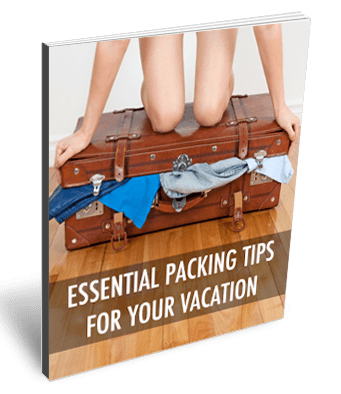 Doing so will ensure you don’t get held up in customs or turned away from the country simply for making an honest packing mistake. One final tip, which you can use when traveling anywhere around the world is to wear all of your bulkiest clothing on the flight. By wearing your big winter coat and snow boots on the flight to Canada, you can pack more essentials into your case and avoid having to pay extra baggage charges.